Just one-third of medicines for rare diseases licensed for patients in Europe are available in Ireland, it has been claimed. The figures were highlighted on Rare Disease Day by the Irish Pharmaceutical Healthcare Association (IPHA), the representative body for branded medicine firms. It said just 29pc of all available orphan medicines licensed by the European Medicines Agency for use in patients in 27 European countries were available to patients here. It comes as parents and children with spinal muscular atrophy lobbying to secure the drug Spinraza protested outside the Dáil. The drug companies said that Ireland ranked in the bottom half of the list of European countries, and behind all other western European Union countries, including Denmark, Spain, Sweden, Italy and Austria. The UK and Germany performed best, according to the figures, scoring 92pc and 96pc for availability of orphan medicines, respectively. The figures, compiled for the European Federation of Pharmaceutical Industries and Associations, which includes IPHA, relate to rare disease medicines authorised by the European Medicines Agency in the years 2015, 2016 and 2017. 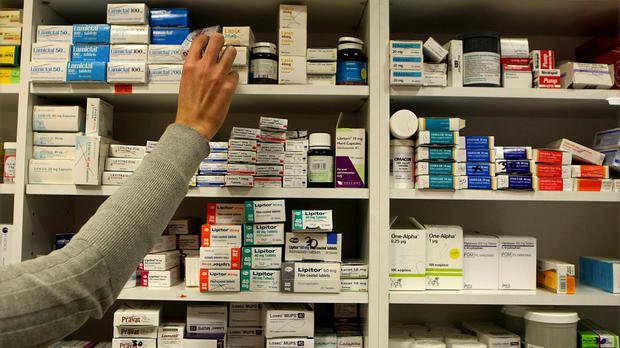 The figures released refer to the rate of availability to patients of those medicines at the end of 2018. Rare diseases affect about 300,000 people in Ireland during their lifetime and are among the most difficult conditions to treat.